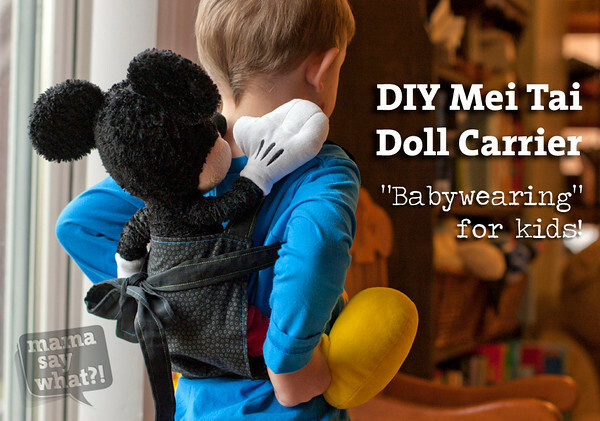 DIY Mini Mei Tai Doll Carrier Mama Say What?! | Mama Say What?! I have talked about my love for babywearing more than once on MSW. 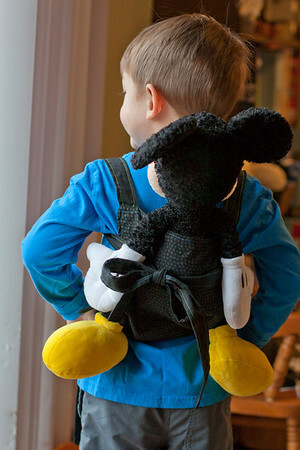 A while back, I was surfing the web and came across a child-sized baby carrier meant for a child’s stuffed animal or doll. My son saw what I was looking at and was mesmerized, “Mommy, can I have one of those? !” Then he proceeded to tell me how his beloved Mickey Mouse wants to snuggle close to him and come with him on hikes and to the airport to visit Grandma and Grandpa. How could I say no with reasoning like that? Knowing this could be just a short fad, I didn’t want to spend any money and buy an actual carrier for him. Instead I did a quick Google search for a DIY baby/doll carrier and found this post from Simple Mom. The concept seemed simple enough, even though I’m no sewing master, and it was! 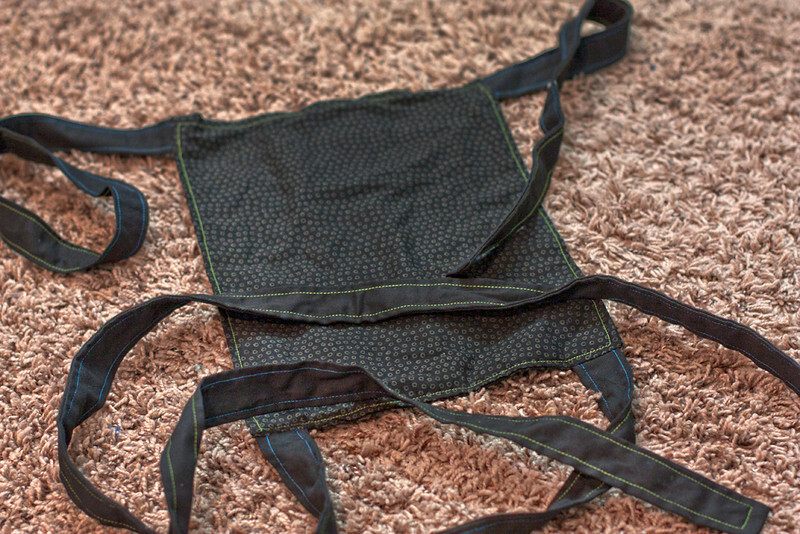 I dug around in my bin-o-scrap-fabric and found two pieces of black fabric (because he wanted a black baby carrier like we have) and got to work putting it together. He was so happy with how it turned out! Nicole from Simple Mom said the measurements for her Mei Tai were appropriate for a two or three-year-old. Since my son is four and a little on the tall side, I decided to make it a little larger than hers. 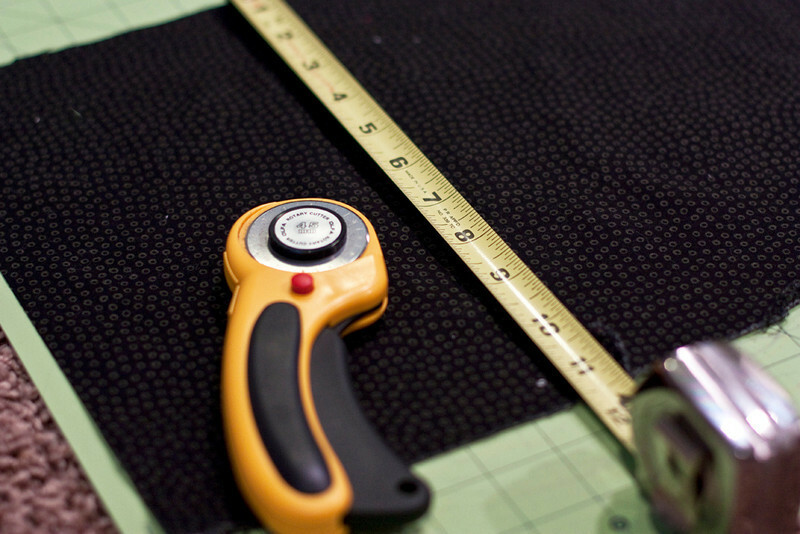 Iron your fabric and then cut all of the pieces to size. 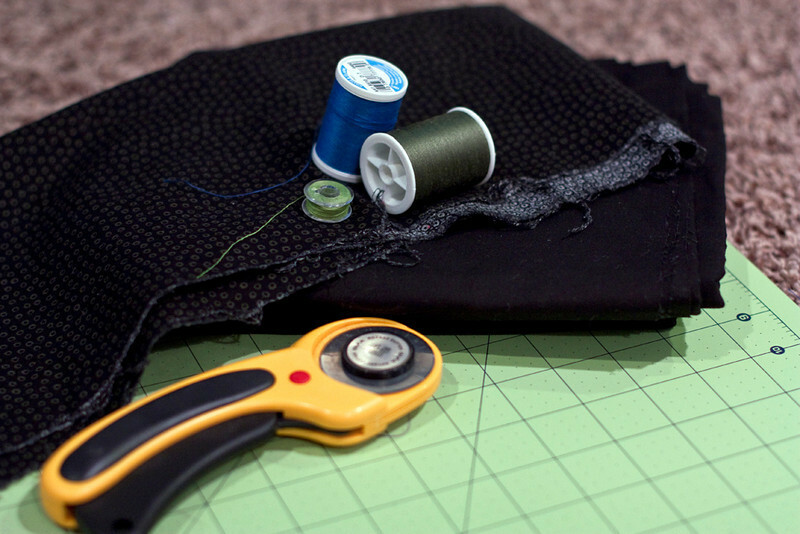 If you don’t have a rotary cutter, you can certainly use scissors. A rotary cutter makes it really easy though! 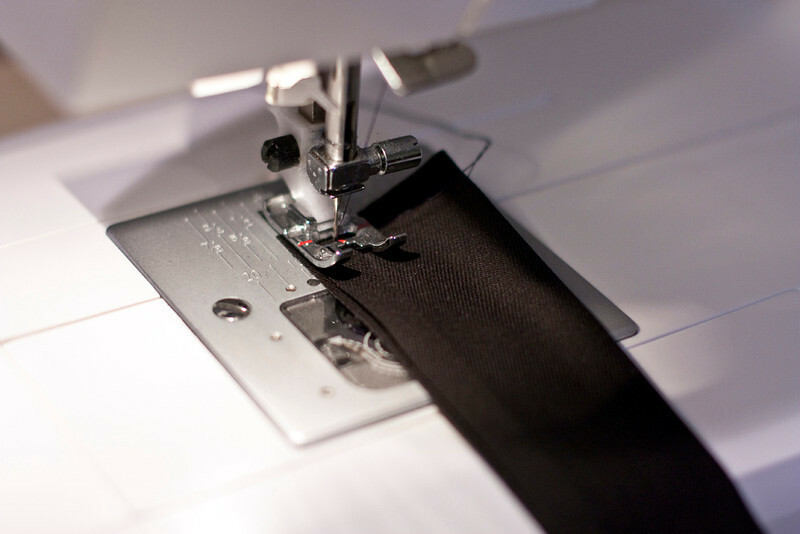 Fold the long strips of fabric in half, lengthwise, and iron them flat. 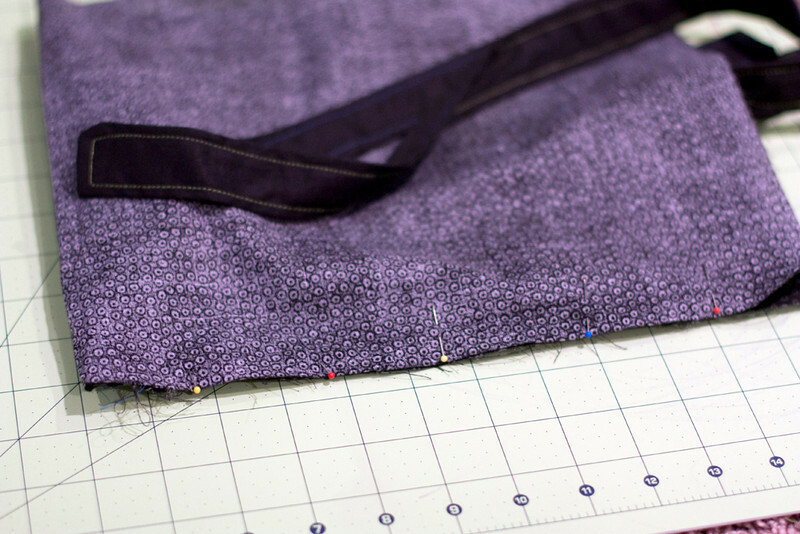 If the fabric has a right and wrong side, fold them right sides together. 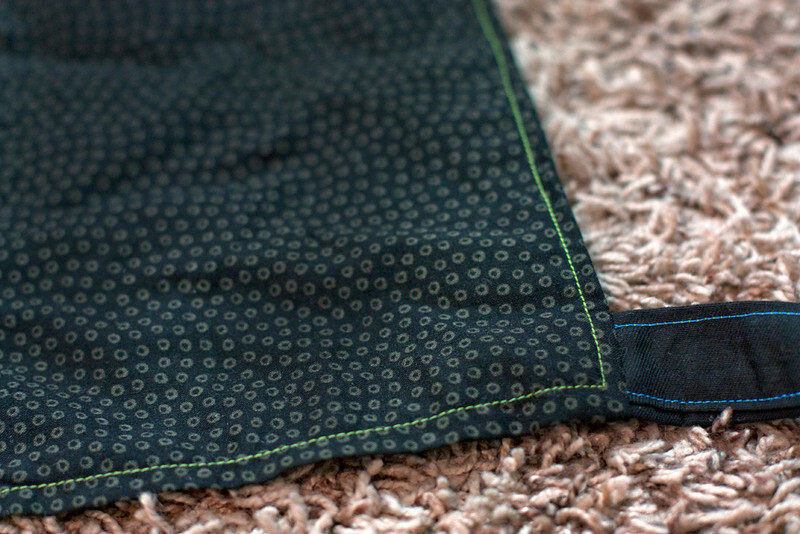 Sew along the long sides and along one end. Turn them inside out and poke the corners from the inside… I used the back end of a paintbrush, but you can use pretty much anything: the back end of a knitting needle, a chopstick. 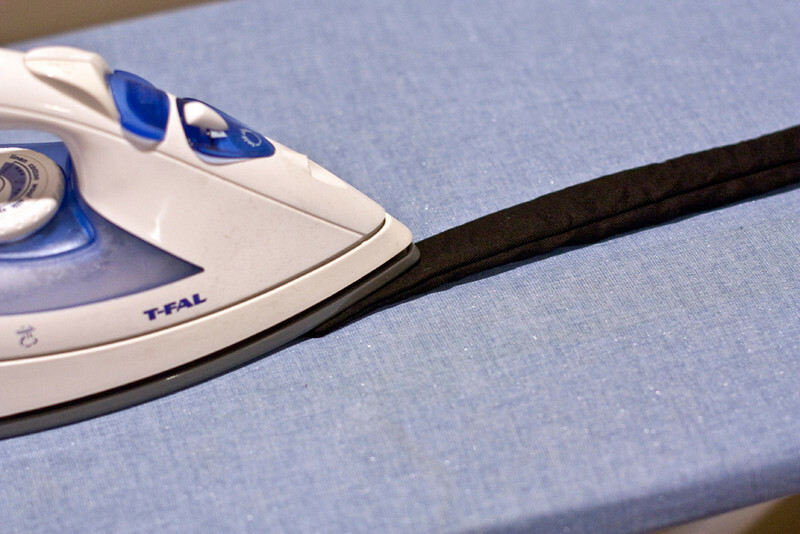 Then iron them flat. 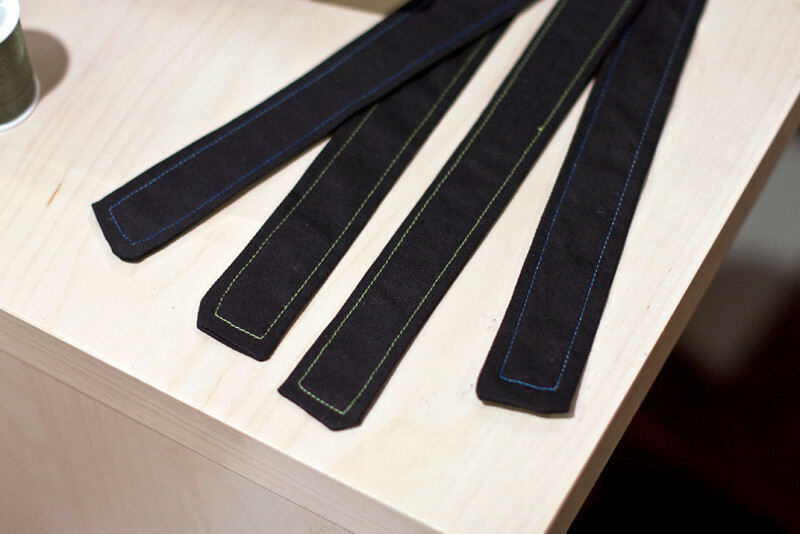 Sew around the edges of the straps. Using contrasting-colored thread looks wonderful. 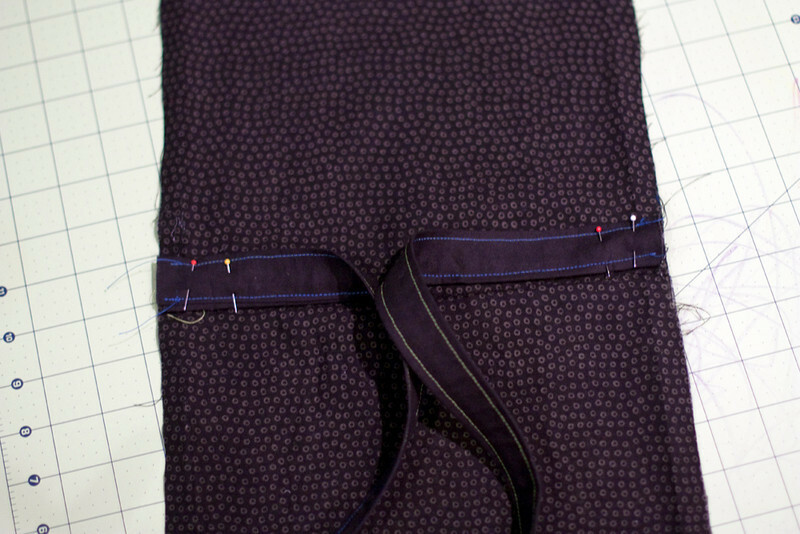 Lay your body fabric out and position the straps to the right side of the fabric as shown. You want the edges to stick out a little bit (unlike I did in the photo!). Pin them to the fabric. 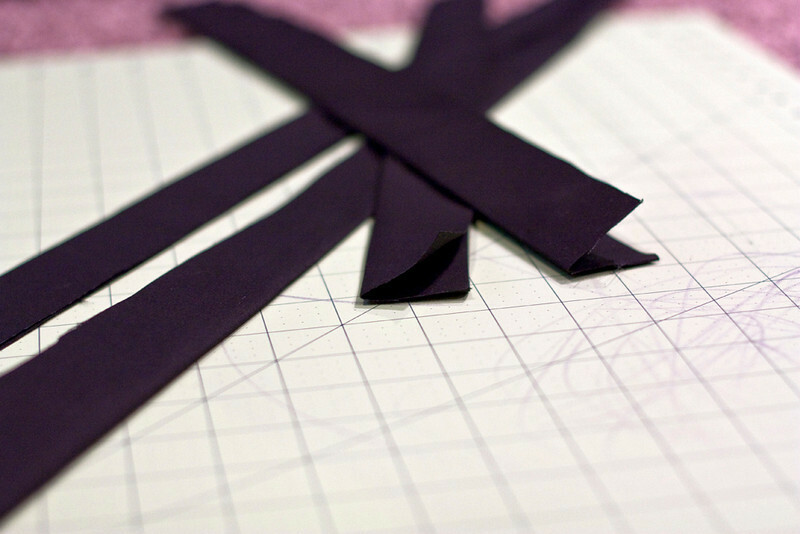 Carefully place the other half of the fabric over the straps and pin it in place. It’s a little bulky and awkward with the straps. 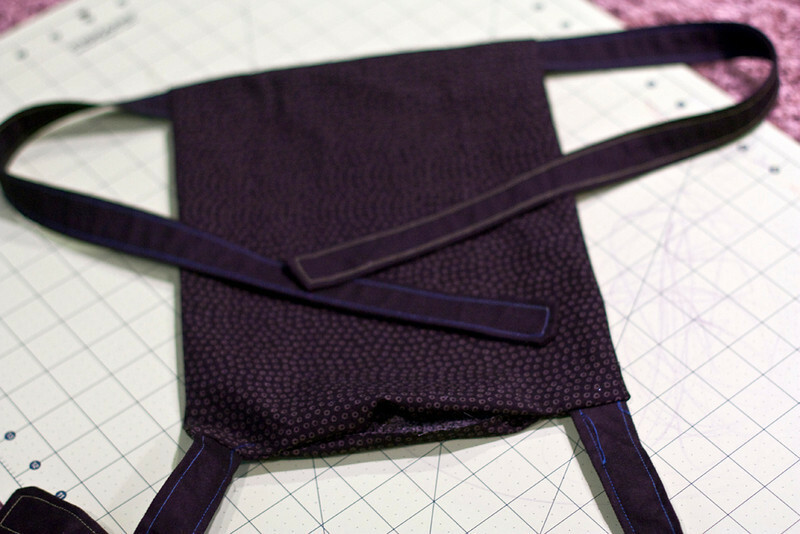 Sew along the sides and a little bit along the top, securing the straps to the body. Turn the whole carrier right side out and iron it, folding the open space under too. Then sew a stitch all around the edges like we did on the straps, closing up the opening and giving the body of the carrier a nice, looking edge. 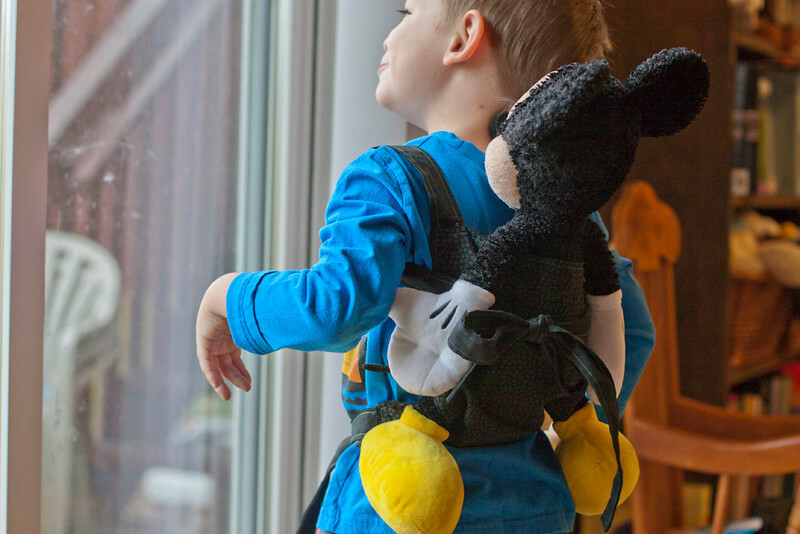 Help your little one tie his carrier on and enjoy watching him babywearing with pride! Not sure how to tie it? 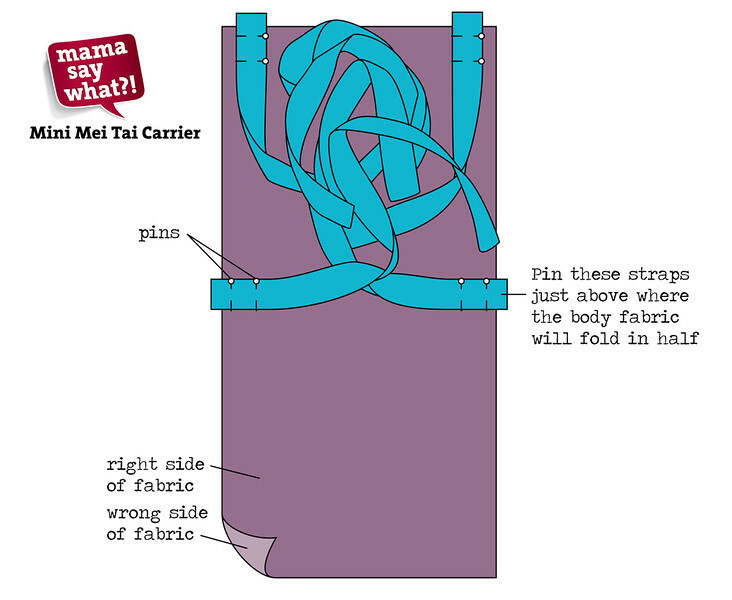 Do a search on YouTube for “mei tai” and you’ll find a lot of videos that show how to tie them. For safety do not, I repeat, DO NOT wear an actual baby with this carrier. Do not let your child wear a younger sibling with this carrier. 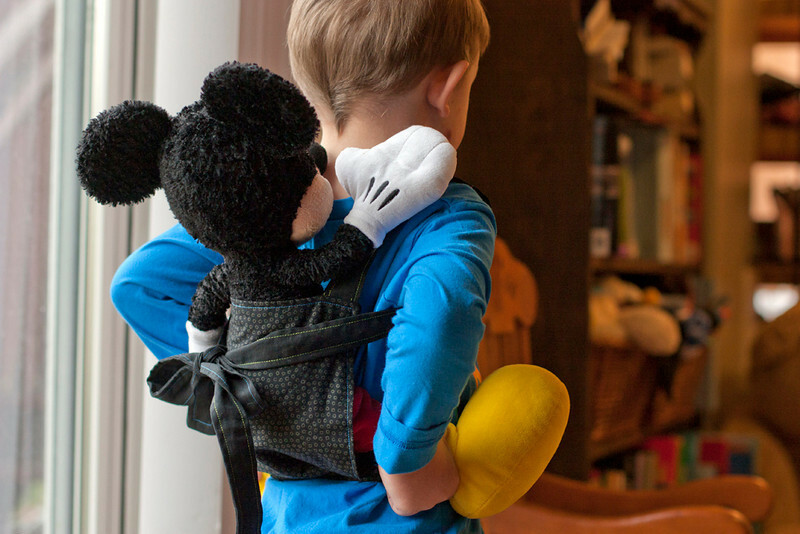 This mei tai carrier is meant to carry dolls and stuffed animals, not babies. Added by Alex T. on December 14, 2013. Love this! My daughter is big into her baby dolls right now and I know she’d love this. May have to talk her nana into making one! Thanks for the info! Pingback: DIY Holiday Gift Round-Up Mama Say What?! | Mama Say What? !